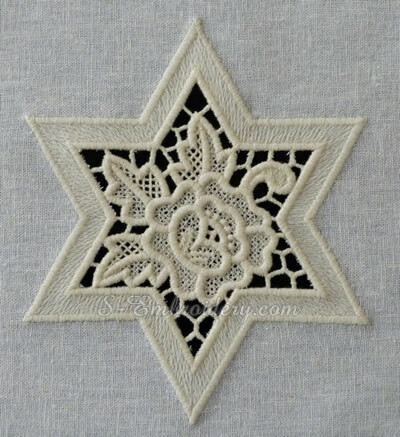 A set of 5 lace machine embroidery designs featuring the Star of creation with floral motifs. 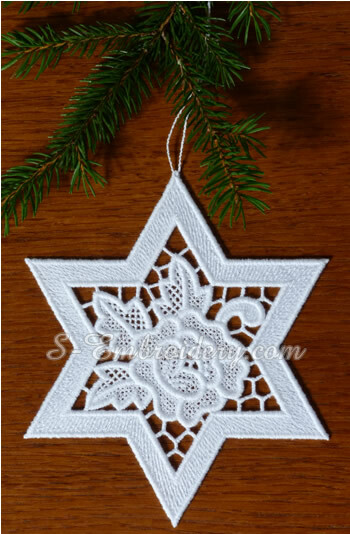 Each of the 5 designs is delivered in 4 versions: 2 cutwork embroideries (larger and a simplified ine) and 2 free standing lace ornaments. 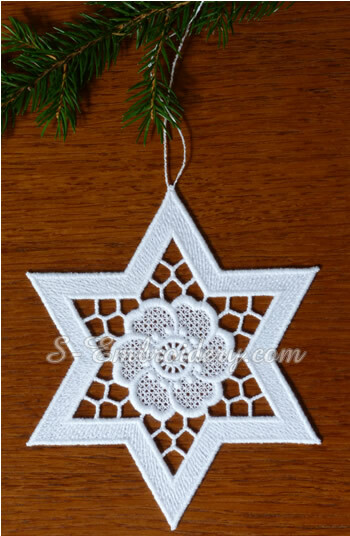 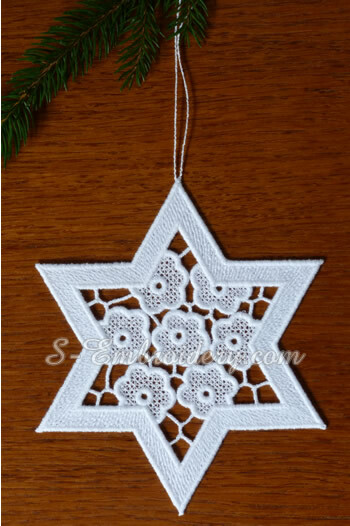 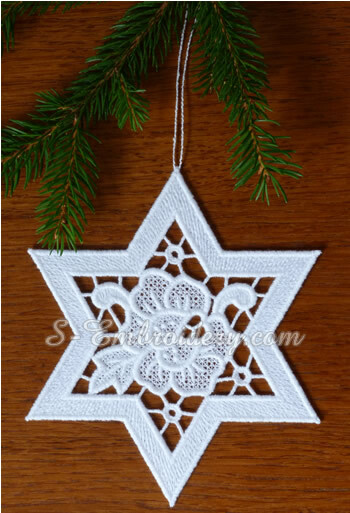 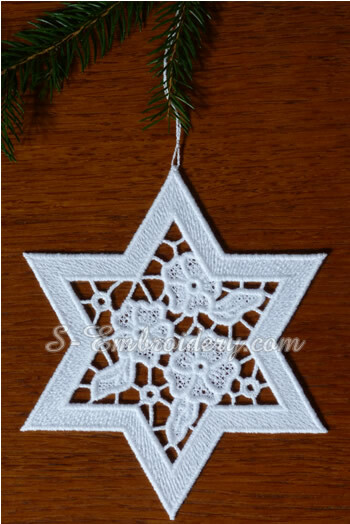 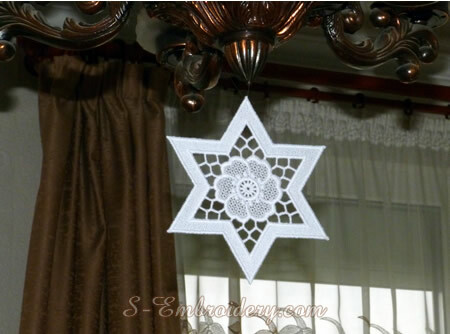 The free standing lace version includes an ornament with a loop for hanging and an ornament without a loop, which can be used for decoration. 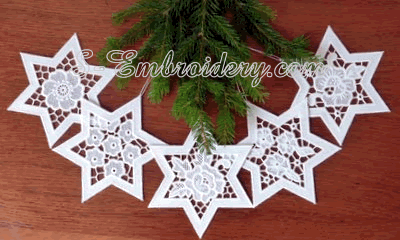 All designs will fit in 5x7 (130 x 180) hoops. 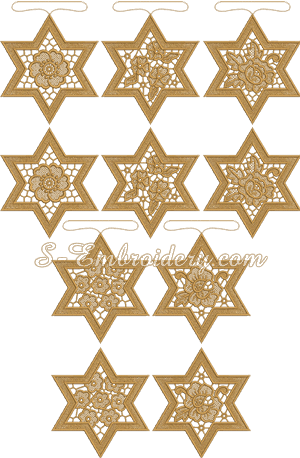 In total you receive 20 machine embroidery files, as well as PDF file with design information and instructions. 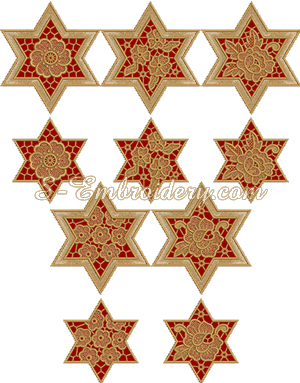 Note:For larger images of the designs please scroll down.